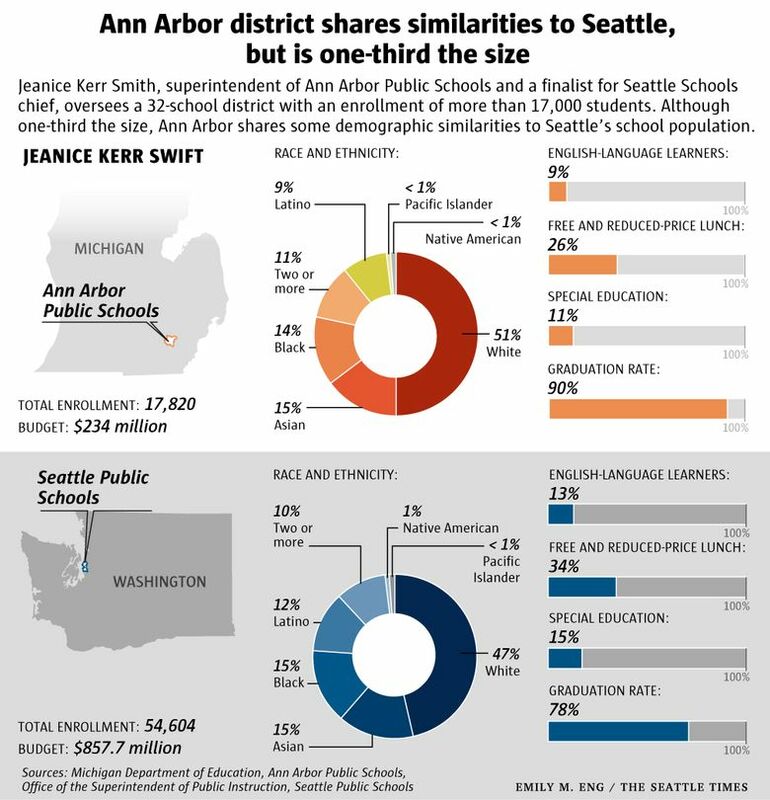 Jeanice Kerr Swift helped draw more students to Ann Arbor schools and saw test scores rise. But Seattle is three times the size of Ann Arbor, with a budget to match. Can she rise to the challenge? It’s been called the most highly educated city in America: About 73 percent of adults in Ann Arbor, Michigan, have a bachelor’s degree or higher, and 44 percent have a graduate or professional degree. When it comes to the education of their children, Ann Arbor’s parents — many of whom teach or work at the University of Michigan — are demanding. And for years, they were not happy with the state of their public schools, even though the district posted high test scores and graduated nearly 90 percent of its students on time. Enter Jeanice Kerr Swift, the former assistant superintendent of the Colorado Springs school district and Ann Arbor’s second-choice candidate for superintendent in 2013. 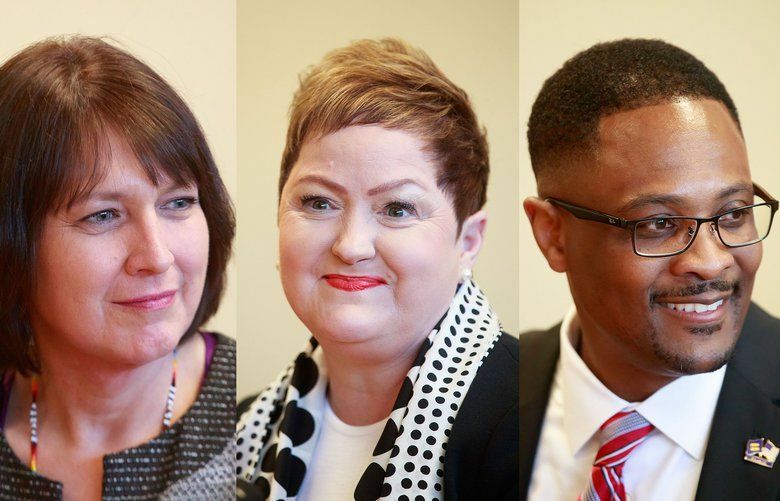 Swift, who got a job offer after Ann Arbor’s top candidate pulled out, was seen as a risky choice because she’d never been a superintendent before, said Ann Arbor board President Christine Stead. But in five years, she has won over many in the district, including one board member who voted against her hiring. In October, she was named Michigan’s 2018 superintendent of the year. Now, she is one of three finalists for the job of superintendent of Seattle Public Schools. In some ways, Ann Arbor and Seattle are similar. Both are home to major research universities. Both have highly educated, demanding populations. Both have similar school demographics. And, like just about every other school district in the United States, both are trying to eliminate the achievement gap. But Seattle is three times the size of Ann Arbor, with a budget to match. Can the superintendent of an 18,000-student district in the Midwest rise to the challenge? Michigan educators think she can. They say Swift, 59, attracted more students to the district and put it on firmer financial footing. During her tenure, state achievement-test scores ticked upward, graduation rates rose, and the district made some progress in reducing the achievement gap. 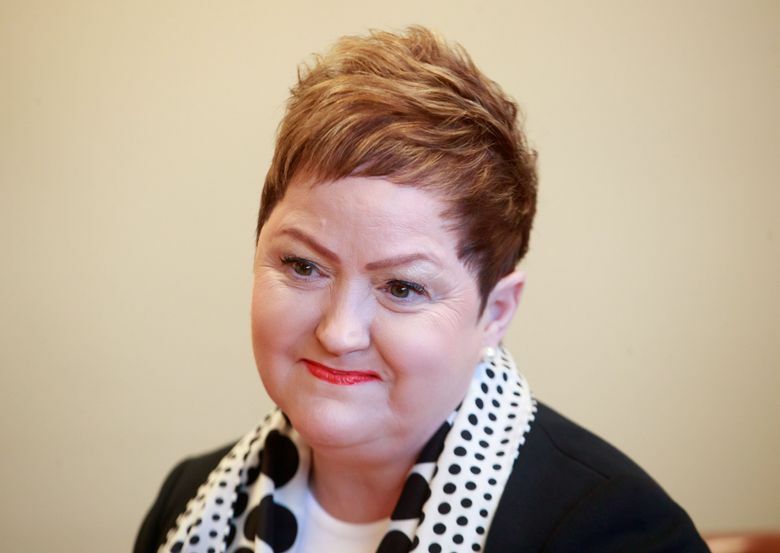 ”She’s really been able to bring together what was a divided community into one that’s really supportive of the district,” said Chris Wigent, executive director of the Michigan Association of School Administrators. The association picks the superintendent of the year. In 2013, when Swift was hired, Ann Arbor had cycled through a series of disappointing leaders, most averaging a tenure of about two years. (“We are very hard on our superintendents,” Stead said in an email.) School enrollment had declined by about 200 students, and the district had spent its reserves down to 1 percent of the budget. Declining enrollment is a big issue for Michigan districts. Parents can choose to send their children to charter schools, or even public schools in neighboring districts. That puts pressure on the schools to keep attracting students or face the financial consequences of declining enrollment, said Scott Menzel, the superintendent of the Washtenaw Intermediate School District, which coordinates the efforts of local boards of education in Washtenaw County, where Ann Arbor is located. In Michigan, “if you’re not growing, you’re dying,” Menzel said. Swift began the job with a listening tour — 92 community meetings in four months — asking broad questions about what made the schools tick and why they sometimes didn’t. It’s a strategy she said she’d repeat in Seattle if she got the job. The listening tours were “wildly successful,” Stead said, and gave Swift a road map for what to do right away. “She worked really hard to get to know what Ann Arbor’s all about,” said Linda Carter, the president of the Ann Arbor Education Association. Stead and Susan Baskett, vice president of the Ann Arbor school board, say changes she made to the curriculum at several low-performing schools made them more rigorous and desirable. She also addressed discipline policies that had resulted in a disproportionate number of suspensions for students who are low-income, African-American, Latino or with special needs. The fact that Ann Arbor is now gaining enrollment, rather than losing it, is a testament to Swift’s work, Wigent said. During her tenure, Menzel said, academic performance in Ann Arbor schools improved every year, including a 32-point increase in SAT scores between 2016 and 2017 — although there was a slight decline in scores for some minority students between those two years. In Ann Arbor — as in Seattle — state figures showed that suspensions were disproportionately meted out to minority and low-income students. “Our African-American boys rarely got through this district without at least one suspension,” said Baskett, the longest-serving member of the board, who is biracial (African-American and Asian). “I call her our iron butterfly — she looks very delicate, a petite little woman, but watch out — she can come down like a hammer,” Baskett said. In a phone interview last week, Swift said she wants the Seattle job because she’s impressed by the community’s commitment to closing the achievement gap, which she described as her own life’s work. She says she would seek to develop partnerships with Seattle’s higher-education institutions, its nonprofits, businesses and its arts groups. “We believe in the power of the arts to transform students, schools and communities,” she said. “I do think Seattle’s a place where I could go and lose myself in the work for a decade, and feel like I had a good impact,” she said. Baskett, who voted against hiring Swift in 2013 — the vote was 4-3 — calls the potential of her departure bittersweet. “I’ve been on the phone all morning with people worried about this,” she said last week. But both Stead and Baskett said they owed Swift a good review because of the work she’d done in Ann Arbor. And they think she’s ready for bigger things.